A south Winnipeg school division is ready to accommodate a growing refugee community with support services close to home. 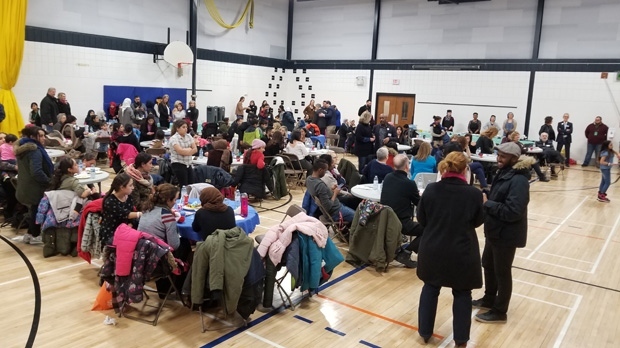 On Saturday the Pembina Trails School Division, in conjunction with a number of immigrant support organizations, opened a “Newcomer Community Hub” at Ryerson School for Yazidi families who fled from Iraq and Syria in need of social support. “We have a large number of refugees who are struggling with trauma,” said Abdikheir Ahmed, director of Immigration Partnership Winnipeg, one of the organizations that collaborated on the hub. Ahmed said many support services are located in downtown Winnipeg and the hub is meant to connect newcomers living in south Winnipeg with those resources. Supports such as counselling, language support and child-related services are available at the hub for both parents and their children. Susan Schmidt, assistant superintendent of student services, Pembina Trails School Division said over 100 students from at least 25 refugee families live within the division. “We hope to achieve for some of the families,” Schmidt said. “We hope they’re being re-unified with their children, work on parenting, understanding about being a parent if they haven’t been with their children,” she said. The hub will be open for families during the division’s school hours and on Saturdays.